Life is divided into phases. When a person comes to the end of one of the phases, happiness or sorrow follows it. Graduation is one of such turning points in life. Each student feels the mixture of excitement and fear before the future changes. Depending on the relations with fellows and professors, this event can be full of sadness and further missing or facilitation. In any case, valedictorian or graduation speech should be impressive and touching. If you are honored to give this speech, the best recommendations on how to do it on the high level are below. The aims of good-bye speeches are banal and obvious. You should show recognition and deep appreciation to everyone who assisted you. For this reason, to avoid boredom, you need your own style and creative combination of words. Your language should be silver-tongued and easy to take. Some elements of humor and personal experience can also be involved in order to make it more absorbing. Everyone expects to hear your name and boring thankfulness during your school leaving speech. Consequently, your purpose is to ruin these expectations and hook the attention of the audience from the very beginning. That is why it is great to start with a funny personal story connected with your school live. Later, you can smoothly turn to the main part. 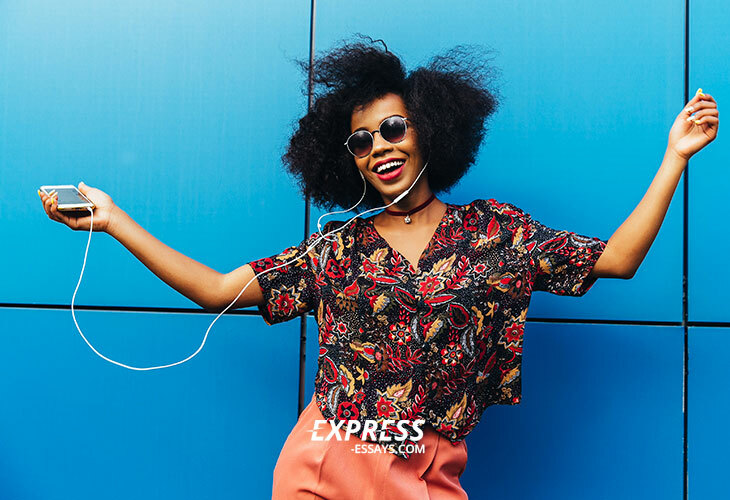 The combination of little emotional details with a great picture is the best way to make an impression and keep the listeners’ attention to the end. What Is a Valedictorian Speech About? Saying thanks to parents, fellow students and professors, who supported your way to the graduation, is the main purpose of a valedictorian speech. However, just to list the names of personal preferences can sound selfish and boring. That is why putting emphasis on the reasons, instead of the names, is a great method to evoke emotions of everyone. Tell them why the support of your parents, professors and friends was so important for you. Involve examples and try to pick them up in such a way that almost everyone could say, “So do I”. Graduation opens different opportunities for everyone. Thereafter, try to avoid clichés and omit promising mountains and marvels for everyone. You would be appreciated more if your speech inspires to move forward despite all the obstacles and challenges that the future prepares. Such an approach will help you to touch much more hearts. Sincerity has always been recognized. If your speech is full of it, your words will be heard and noticed. Tell about your experiences, emotions, feelings and challenges during the studying time. Tell your listeners how you managed to cope with problems. Open your heart to your audience. Feel yourself an integral part of it. 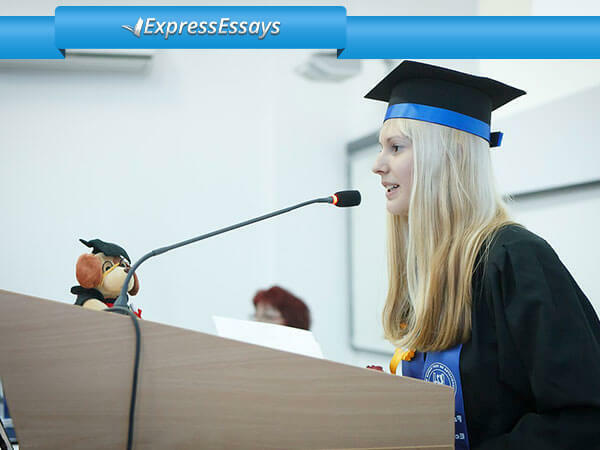 If you are still feeling nervous about valedictorian speech writing, the best decision is to place an order at Express-Essays.com. Our team of professional writers will make your speech touching and funny. You will have what to say standing at the podium with our 24-hour available writing support.